LEFSON - Who are we ? Born in 1984 and truly passionate for the audio phenomenon since childhood, Xavier Lefebvre is graduate of ISTS / Paris (Institut Supérieur des Techniques du Son) at the age of 22. For a few years he performs with passion his activities as sound engineer in different recording studios in Paris and meets the most experienced French engineers. At the same time he starts more personal studies in the field of audio-electronics, wanting to understand and find out more about the inherent characteristics of the devices he uses. Besides some maintenance interventions in recording studios he designs and manufactures devices for his personal and professional use (preamplifier, compressor/limiter, equalizer, microphone...). Appreciated for their performance, several of them were used during studio sessions. Because of his growing interest for audio electronics, he decides then to put his career in recording studio aside and devotes himself to a business project. The company officially opens its doors in November 2013 : LEFSON is born. 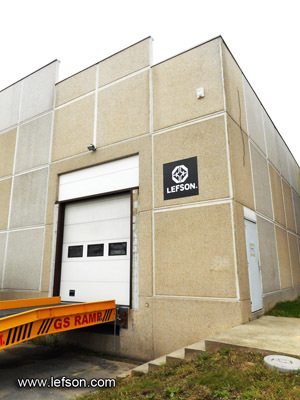 LEFSON operates in northern France, first in Boulogne-sur-Mer. A device for sound engineers is manufactured : the LEFSON DCAD (Discrete Class-A Distributor). At the same time, LEFSON REPAIR, professional audio and HI-FI repair and improvement service is inaugurated in early 2014 and meets an increasing success. In August 2016, the LEFSON company moves to Wormhout, still in northern France, to extend its manufacturing activities. By focusing on the principles of sound reproduction (HI-FI), Xavier Lefebvre decides to work more specifically on the design of fundamental electronics components such as resistors and capacitors according to the specifications of the audio signals transmission. With these fundamental researches, Xavier Lefebvre is at the moment designing a range of very high performance modulation cables. Be sure that many other components and devices will emerge. More than a concept, LEFSON is a philosophy.